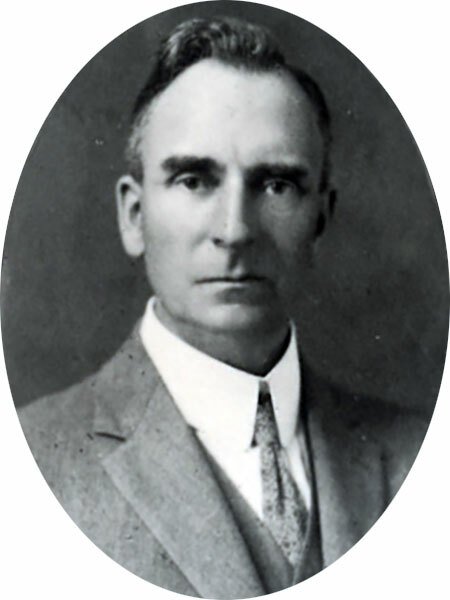 Born at Parkhill, Ontario on 7 September 1873, son of Thomas K. Plewes and Elizabeth Baird, he attended the Toronto Normal School before coming to Manitoba in 1895 where he subsequently received a BA degree from the University of Manitoba. After teaching at several rural schools, being Principal of Baldur School (1903-1905), Carman School (1905-1907), Birtle School (1907-1910), Binscarth School (1912-1916), Russell School (1916-1920), and Foxwarren School (1920-1924), he was appointed a School Inspector in 1924. During the Second World War, he came out of retirement to be the Principal of Dugald School (1939-1942), and later taught war veterans. On 1 August 1902, he married Margaret Laura Cuddy, daughter of John Cuddy of Sanford (and sister of J. A. Cuddy and W. A. Cuddy). They had five children: Elizabeth Plewes (1904-1904), James Evan Plewes (b 1905), Lillian Ethel Eileen Plewes (b 1911), William Gordon Plewes, and Kathleen M. Plewes. He was a member of the Mentor’s Club and Fort Garry United Church. He died at Winnipeg on 29 June 1963 and was buried in Sanford Cemetery. Obituary, Winnipeg Free Press, 2 July 1963, page 21.